Get ready to accelerate! 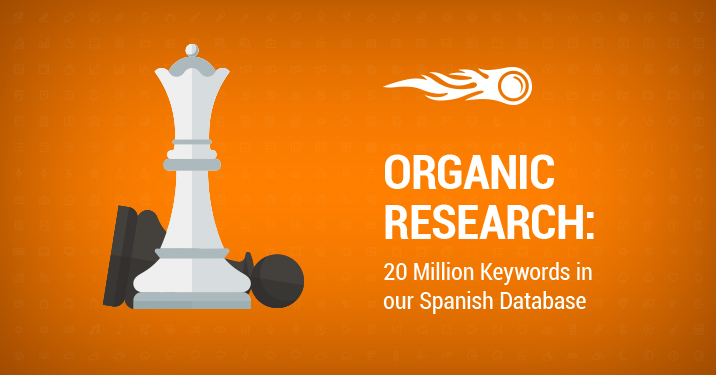 We're beefing up our Spanish database and it has now hit 20 million keywords! And we have increased not just the quantity but also the quality of the collected data. This is your chance to get the best out of our Organic Research, get full disclosure on your competitors, and finally one up them. We hope this really makes your day! We’re doing the best we can to provide you with the best data for your online marketing and this is just one of the many updates that are coming soon. As always, we can’t wait to receive your feedback. Don’t hesitate to email us at [email protected].